It happened, as it were, completely by chance, as I suppose these things always do. Who can predict what new arrival at the forefront of one's mind—a flickering image, a faint idea, a vague prospect heretofore unrecognized—may inspire an outpouring of passion? Does anyone possess the wherewithal, the sheer power to turn such a force of nature away? Lanvin Arpège was the farthest thing from my mind back then, when I was still wearing Chanel Allure: sweet, nice, and linear—a scent for every time and every place, and my favorite especially to don right before embarking on a journey to a land far away. Gambling on new perfumes was never really an option. Subject my fellow passengers to the latest Dior Poison flanker? Or some blue aquatic nonsense which might be even more emetic than the food served on board? No, and as a seasoned traveler, I knew that every single duty-free shop in the world carries Chanel, before anything else. Let's put it this way: if there were a duty-free shop in an airport in even the remotest corner of the universe, it would contain tester bottles of Allure eau de toilette and eau de parfum within arm's reach. It's as though Chanel has underwritten the very existence of such stores—along with the Toblerone chocolate company. Affix your own air mask before helping a fellow passenger. A prescription which I confess to have found equally applicable, mutatis mutandis, to my attitude in the morning when opting first to prepare coffee before acknowledging the existence of anyone else. It is also the basis—whether sound or not—of many a person's refusal to help another person in dire need, even the proverbial damsel in distress. Remember Kitty Genovese? Probably not. But that's another story. Allure was perhaps the precursor to the twenty-first-century SSRI scents now flooding the market, impossibly inoffensive, while at the same time a pleasure to wear. A beautiful blend of floral and light oriental notes into a seamless, indivisible layer of sweet niceness. “Linear” they called it, and linear it was, indeed, as dependable as a German or a Japanese train. Nothing rank, nothing obtrusive, nothing ugly. The perfect solution for long journeys spent in close quarters with complete strangers brought together fortuitously by nothing more and nothing less than their shared desire to be somewhere else and virtually anywhere but there, suspended in air, 30,000 feet above the surface of the earth. My first bottle of Allure was purchased in Toronto, where I spent a few days alone and found that I really did wish to don a perfume, though I had neglected to bring any along. I acquired the bottle blind from an upscale department store from which I was buying a red cardigan, having discovered that the temperature in Toronto even in the summer months was quite a bit cooler than I had been led to expect. Did I become attached to Allure because of the comforting companionship it provided during that short trip? Whatever the explanation may be, I went on to drain bottle after bottle of both the edt and the edp, habitually reaching for Allure as a safe yet simultaneously endearing scent. To be honest, I do not recall the circumstances of my first encounter with Arpège, but it certainly was not in a duty-free shop in a land far away or nearby, as I have yet to see any perfume by Lanvin being sold in any airport store—or virtually anywhere, for that matter. Perhaps the glimmering globes are hidden on some lower shelf in a dark corner of some of these establishments, but no one makes any real effort to sell Arpège, in particular, unlike the pro-active, seemingly ubiquitous Chanel sales associates, as hopeful as the barefoot Hare Krishnas with their tambourines, who will spritz even unwilling passersby with Chanel no 5. Which is not however to deny that the ploy appears more often than not to have worked, a part, as it is, of a grand, five-hundred-year master plan for marketing No 5 as not just the best-selling perfume of the twentieth century, but of all time. Arpège, in contrast, is quite a bit more caddy, perhaps even coy. One must seek Arpège out, and if one fails to do that, well, you may rest assured that Arpège could not care less. I was one of the chosen few, the truly fortunate ones to happen upon this splendid and arcane creation. Yes, it is true: I felt blessed. I emphatically did not seek Arpège out and did not even really know what I had found for quite some time after having acquired a bottle, which is probably why I do not recall when precisely that was. Arpège was somehow delivered to me, a scent literally heaven sent, as though someone somewhere, a metaphysical matchmaker of sorts, had determined that it was meant to be. Yes, somehow those beautiful bulbous bottles made their way onto the top shelf of my armoire, as though conveyed by supernatural forces beyond my power to control. But all of the history leading up to the big event proves irrelevant in the face of what transpired next. I fell head over heels with Lanvin Arpège and, yes, I fell hard. How did it happen? you may well be wondering. From nothing to love in the blink of an eye, it happens every time, as the world is transformed beyond recognition all over again. I began to see what had seemed to be his icy stare—at times a piercing glare—for what it really was: clarity. The lucidity of a mind capable of penetrating the inner secrets of the soul through the application of logic alone. In the beginning, Arpège did not seem to have much interest in me, and to this day I wonder whether he ever did. Always cold and aloof in our initial meetings, he was sometimes brusque to the point of being rude. Never one to hug and kiss à la française, Arpège was more apt to refuse even to accept an outstretched hand. Some no doubt thought that he was rude, like the drunk who approached me as I was preparing one afternoon to depart from my table in a restaurant bar where I had stopped for a quick snack after a strenuous shopping trip. He bumbled his way over, managing even in his stupor to see that there was only one body there, not two, and that it was a woman, not a man. He extended his hand, introducing himself, as though I should be happy to see such a slob standing before me with leering bloodshot eyes. I signed my check, picked up my things and dashed to the door while he lingered behind exuding what he took to be righteous indignation that I should be so uncouth. That, too, is perhaps how some, even many, may have viewed Lanvin Arpège, but I knew that there was more to him than that abrupt façade, so I adamantly refused to retreat. Fortunately, I ,unlike the pathetic drunk who accosted me on that otherwise peaceful day in a restaurant bar, was not hopelessly confused. I learned to brace myself before each encounter, and soon found that if I gave him some time, his layers of complexity would unfold, unraveling like infinite bolts of silk before my eyes until at last I realized that he had crept into my heart, and I could not live without him anymore. I began to regard his brusqueness as endearing, his way of fending off what might otherwise be the hordes of suitors unworthy of him. Was he elitist? Without a doubt, but it was this, perhaps, I cannot tell a lie, which drew me to him before anything else. They had not yet met Arpège, and having tied the knot to No 5, perhaps they never would. To me, of course, all of this was perfectly fine, and many of them to this day remain mired in their abject state of ignorance, the corridors of their mind as dark as the remotest recesses of Plato's Cave. I knew all along, deep down inside, that they were wrong, but I had no desire to disabuse them of the errors of their ways. They had all been tricked by the hype, the slinky black dresses flaunting vast areas of bare skin, Chanel bling, and the promise of a luxury of which their lives were otherwise entirely devoid. They were sucked in, like lambs to the slaughter, completely unaware of what they were missing. I haughtily and, I suppose, selfishly declined to correct their mistakes. By now it should be obvious: I wanted Arpège all to myself. Instead, Arpège could remain my private—or near private—stock while all of the wearers of No 5 would smell the same. Did they smell like Marilyn Monroe, like Catherine Deneuve, like Carole Bouquet, Nicole Kidman and Audrey Tatou? To me, if the truth be known—and why not, after all?—the odor wafting off their bodies was quite a bit closer to that of Brad Pitt after three days of hitchhiking on a dusty desert highway, cigarette butts and empty beer cans rolling and jostling about like tumbleweeds in the wind. To me, more than an arpeggio, Arpège was the olfactory equivalent to Bach's Goldberg Variations, which, too, had drawn me in and seduced me to believe for a time that nothing in the world could be nobler and more worthy of my life than perfecting such a magnum opus. Could it be accomplished in a single lifetime? Evidently not, but nothing would stop me from trying. So, yes, I openly admit to having become completely obsessed with Lanvin Arpège, so much so that I began to believe in the house of Lanvin, not just this one particular perfume, but the entire family. I suppose that I might have been a bit like the man I know who married the sister of his former wife after she was inexplicably murdered one day while doing nothing more than walking home from work in a neighborhood not too far from mine. I shuddered upon hearing the story of this crime which, like the one-out-of-three murders in the United States never solved, implies that cold-blooded killers are roaming free throughout our streets. I decided to order other Lanvin perfumes, first Eclat d' Arpège, which came in the clear spherical bottle stamped with the same iconic image of mother and child but in silver rather than gold. The perfume inside was purple, not brown, and the cap, too, had been newly designed. The presentation was stunning: the perfume and a body lotion to match were housed in a lavender-colored leather hat box with a zipper closure. Alas, despite all of these beautiful trappings, the perfume itself never worked for me, albeit not for want of trying. Later, I bought a bottle of Rumeur blind, still convinced that the noble name Lanvin sufficed to justify such a purchase scent unsniffed. To my disappointment, the opening of Rumeur was empirically indistinguishable from the smell of an organic chemistry laboratory. I worked in one for some years, and so, no, this is no metaphor. All of the fumes mingle together as they waft out of the many hoods, each with its artfully constructed distillation apparatus, shimmering glass bulbs and joints assembled to achieve the specific task at hand: to isolate and purify some precious chemical substance under precisely controlled temperature and pressure conditions by removing all of the unwanted “stuff”. No, the fume hoods never seem to work very well in those laboratories, which is one reason why some of my colleagues occasionally joked that there was a reason why men in organic chemistry have a higher tendency toward baldness than do men in the general population. For decades, no one even knew that benzene was a carcinogen, so it was splashed about like water, along with countless other liquids presumed but never proven to be safe. Rumeur improves over the course of a wear, but the opening is so difficult for me to bear that waiting for the magnolia at the end of the journey is not really a possibility. I swapped the attractive thick-glassed milk bottle facsimile away. I am aware that there are people who love and cherish Rumeur, but to me, the opening smells simply too close to carcinogens—or other toxins—for comfort. After those two poor purchases, I began to become wary of Lanvin. I had heard tales of the reformulation of Arpège and decided that I'd best be satisfied with the bottles in my collection, since the very persons responsible for the new perfumes were undoubtedly those, too, who reformulated the love of my life at the time, Arpège. 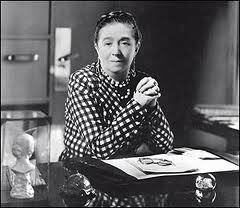 I gave the house one final chance when they launched Jeanne Lanvin, which was not to my liking either and, having apparently been composed under the influence of the “muse” of marketing data, seemed to be more of an insult than a tribute to its noble namesake. After that, I wrote Lanvin off forever and stopped wearing even Arpège, ironically because I did not want to run out. I simply could not bear the specter of another tragic reformulation of what once was a masterpiece. I regret in some ways to admit, but it's true: over time, I eventually fell out of love with Arpège, as I began to wear more and more chypre perfumes and then became seduced even by the modern sweet patchouli chypres—La Perla was one of my favorites (until its reformulation)—to the point where Arpège began to smell wrong or off. Had my bottles turned? Or did I? Perhaps I'll never know. Had I stuck with Arpège through thick and thin, 'til death or drained bottle did we part, then perhaps I would not have noticed the mutual transformations taking place in each of us. We might have been like the old couples celebrating their thirtieth, fortieth, even fiftieth anniversaries, who simply do not notice subtle changes from one day to the next—the flaking dead skin cells, the graying hair, the creaky voice, the flabby flesh, the wrinkles creeping like cobwebs—though the sight of their loved one at the beginning was quite different from that at the end. What's done is done; what's gone is gone. 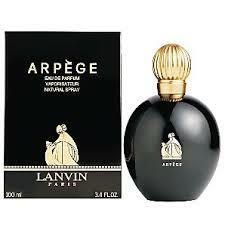 But I can and do here attest: once upon a time, I fell head over heels with Lanvin Arpège. Of course, it is true: I was different person back then. Now I've pretty much moved on, though I'll pull out a bottle every once in a while, to take a short walk down memory lane. I was reminded of my former love recently upon donning Lubin Nuit de Longchamp, which seems to be close to an Arpège facsimile to my nose. But I must confess that today it smells to me rather old. Do twenty-first-century women have any business smelling like aldehydes? Gabrielle Chanel and Jeanne Lanvin passed away long ago, so long ago, in fact, that I wonder whether it is not simply time for perfumery, too, to move on to the next big thing. Overdoses of aldehydes now seem to me as old-fashioned as floral soliflores did to Gabrielle Chanel back when she insisted that her new perfume smell not like flowers but like a woman. Do women smell like aldehydes? Well, many certainly tried to for a full century, seduced by the idea that they were more glamorous than flowers. But they were seduced to accept the dictates of marketers no less than they are today. Was I, too, on some level, in some intangible way? It's hard to say. Was I wrong to fall in love with Lanvin Arpège and then to fall back out of love again? What could that mean? They say that “all good things must come to an end,” and I do believe that it is true. But that doesn't prevent us from imaginatively rehearsing fond memories of them. And it certainly doesn't preclude the possibility of its happening again... Could I, should I rehabituate myself to aldehydes, so that I might fall back in love with Arpège? The paradox of morality and the inexplicable unpredictability of love are two facets of the very same crystal: no one can argue anyone else into changing sides. It simply happens, like a gust of wind arriving on the scene to sweep one away into yet another fantasy for a brief period of time, a drop in the pool of eternity, until at last what was once passion becomes but a plaintiff sigh. Ah, reading this made a glorious thing of my lunch break. Your words are a river I could drift down for hours. Thank you. Aside from Arpege and My Sin (which is really just Arpege smoking a cigarette) the only Lanvin I've liked is Via Lanvin, a really good chypre from the '70s-'80s, now long gone. Thank you so much for your kind praise, which means all the more coming from the author of parfumieren, one of my favorite blogs! I have missed your writings dearly and suspect that you shut the doors because of troll behavior similar to what is in full evidence below. If you are still writing, please contact me using the email form at the bottom of the page. Her words are riptide of nonsense you can drown in. Why would you bother to come here and say this, you rude, anonymous person? I don't see how your "review" adds anything to the conversation. Maybe you don't either, or you would have put your name or recognizable screen nickname up here. We had made such progress, but now recidivism has reared its ugly head, and you are back in full-fledged Trollman form. Obviously, you are strangely fascinated by this blog, given your google analytic stats. The image which comes immediately to my mind is that of the Kim Novak character in Hitchcock's Vertigo as she ascends the steep steps to the top of the mission church steeple. I respectively hereby request that you either become a full-fledged salonista and join in on the jovial discussions or else .... go do something else! Thank you in advance for not abusing the open posting capacity featured here at the salon de parfum precisely in order to promote, not squelch, discussion. I'm so sorry your relationship with Arpege ended. A few years ago, I visited the Barneys in Scottsdale, AZ. Within close range of the perfume area were the lovely (but frighteningly expensive to me) Lanvin dresses. But were there any Lanvin perfumes? No. It appears that Lanvin wants its clothing to hang around with the Frederic Malles, the Comme des Garcons, the L'Artisans instead. It's not so much that my relationship with Arpège ended as that it somehow lost its luster. I am able to wear Arpège, but it's just not the same. Compared to some other perfumes, which I simply cannot wear anymore, the result was not so devastating. It's really and truly an example of evaporated love! It has also become a marketing technique. The name of the house gets much more currency when average, middle class people are able to buy some of the products--which is certainly not the case for the haute couture of these houses, as you aptly observe in your comment above. So one way of looking at fashion designer perfume launches is completely parallel to the launch of fragrances by celebrities, for whom it serves more than anything to promote and extend their own fame. I would like to thank you also for attempting to reason with Trollman, but as you can see it's probably a lost cause, so I recommend ignoring such remarks in the future. I do appreciate your noble attempt to intervene. Btw - who is Anonymous? Anonymous, whoever you are - what's the purpose of your utterings? But I really did love it--for a time! Oh well, now I've moved on. At this point, given the state of the perfume industry, I think that believing in only the current bottle is the best approach. I'm steering clear of everything reformulated. If I love something right here and now, then maybe i'll pick up a back up, but there's going to be no hunting for long lost treasure by sherapop. Until you stop insulting me, and you stop allowing your friends to insult me you don't get your wish. Interestingly your friend called me rude and nothing is said to her/him. And of course since I don't walk lock-step to your views. I'm shunned. You are everything you hate and you don't see it. You say you don't squelch, but you do. And as long as I have an opinion, you will see it. Your Gestapo tactics of censorship always show your true self. There is no Gestapo around these parts, Interlocutor Man, but the Relevance Police will indeed delete all irrelevant remarks, including internecine squabbling. The general puzzlement among the salonistas above can be summed up in a single question: why would you even bother to visit this blog if you truly believed that it was a "riptide of nonsense"? You are certainly entitled to your opinion, but a logical quandary remains: why read what you find nonsensical????? Now let's set all of these differences aside. Do you have any ideas to share regarding Lanvin, Arpège, Chanel, and related topics, Interlocutor Man? So your original intent of "whether you agree or disagree" is moot. AND it since you are the judge, jury and executioner of what is relevant that makes you the "gestapo"
And it wasn't relevant for your friend to call me rude. Yet you allowed it. And didn't call them on it. I'm not here to read these posts so much as I am here because you are fascinating. I loved reading this entertaining article Sherapop. I have only recently finished a mini of the reformulated Arpege, which I found to be quite a soothing bed-time scent. The aldehydes in Arpege are more creamy than they are powdery, at least in my opinion. I do love this fragrance, and may even consider buying a full bottle at some stage in the future. Thank you so much, Kat! It's wonderful to see you here. I am curious: have you tried Eclat d'Arpège? It's so different from the original, but a lot of people seem to like it. Something about it does not sit well with me... I had the same trouble with Jean Patou Enjoy--also purple!--which I ended up swapping away. Oh yes, I knew that you were a fan of Arpege. I grew out of love with Burberry Weekend too, but I still have a soft spot for it. I have tried Eclat d'Arpege. I found it pleasant, but a little predictable, like a less masculine version of D&G Light Blue. What an at once beautiful and sad, I should say poignant tale. My own experiences with Arpege mirrors yours in the first act - though I found her an impulsive and headstrong young woman (a Cabochard, one might say)rather than the ravaged man of your imagination. Either way I too was eventually able to decipher from the off key chromatic scales and the apparent profusion of flowers, piled up in an aggressive arrangement a scent so intelligent and distantly beautiful that it was (if you will excuse the pun) endlessly alluring. Looking back I find our reflections almost eerily similar... peas in pod and all that one supposes. However after the interval, in the second act we part company. I have never tired of Arpege, I think perhaps because our relationship never reached the same degree of intensity, did not demand the same degree of commitment. Perhaps dear Arpege is more suited to friendship and occasional nights at the theatre rather than a long love affair? In this case maybe familiarity does indeed breed if not contempt then a certain ennui. And nothing is so heartbreaking than to become bored with what one once loved. There is as you suggest no solace to be found in the scent's sisters, who are a dull lot, with the exception of the sure footed but early to the grave My Sin (it must have been all those Gauloise she got through). But give up on aldehydes in their entirety? It is a huge question. No doubt in fact many, probably most, young women already have. But the Dandy sees no good reason to consign the note to history. Applied judiciously either as an occasional treat or in the few and far between modern interpretations, aldehydes remain an important part of the perfumers lexicon and The Dandy's wardrobe. I still like No 5, though as much as cultural icon than scent alone. My attentions these days focus on the subtle about to thaw ice like fragility of Ma Griffe, or the aldehyde on a high of the atypical Ellena First for Van Cleef & Arpels. Then of course there are the exceptional (to the rule) appearances in Gucci's Rush (the perfume of the boum de nuit of the 1990s) and on the male side the incense on speed of Comme des Garcons Man 2. So no, I do not turn to Arpege, everyday, I never did, and that is perhaps why or relationship remained so fresh. Equally I do not douse myself in electric aldehyde each morning and that maybe why I remain at home to this most fizzy of all fragrance style. Nevertheless I understand your slight falling off with Arpege and can only hope that with time you are able to come to the kind of good terms that old lovers so often do. One last word, your writing as ever, is excellent, and your thesis most engaging. The Dandy salutes you ( and apologises in advance for the inevitable typographical errors above). Good Day, Perfumed Dandy, and thank you so much for your kind comments and sleek link. I'll be reading your piece on Arpège soon, and perhaps I should confess here that your blog is swiftly becoming one of my favorite places on the WWW! I am so glad that you raised the question of aldehydes. I believe that I may have gotten carried away in a "riptide" of hyperbolic rhetoric! I do not despise aldehydes, in and of themselves, and certainly do not believe that they should be entirely expunged from the perfumer's palette, though looking over my text I see how I managed to convey such an impression. I, too, appreciate Carven Ma Griffe (although I rarely rare it), and I can even admit to having had a brief moment of olfactory ecstasy in an encounter with Estée Lauder White Linen extrait (not the eau de parfum). So I certainly to do not want to say that aldehydes are totally passé. I believe that even today, in the twenty-first-century, aldehydes judiciously applied can be a very good thing. What I deny I suppose is that the Chanel no 5 aldehyde mistake (adding ten times the proportion intended by the perfumer) is something that anyone needs to replicate! As far as modern "aldehyde" perfumes: I have not had a lot of luck. I don't want to name any names here, but suffice it to say that somehow these newfangled niche aldehyde perfumes have not worked for me. But I know that aldehydes are just one among the many pieces of a perfume puzzle, and I am sure that there are perfumers working today who are capable of incorporating them into a masterpiece again. I am more than happy to be on such intimate terms with the most amiable f hosts on the internet. I am so glad that you have neither abandoned Arpege nor aldehydes entirely. I feel we are at a one regarding the 'niche' use of this note - almost an oxymoron one feels. I smile at your recalling of the 'No 5 accident' and am reminded to re-read your excellent piece. Thank you for your kind words regarding my own humble blog. Finally I must play tribute to you for the enormous patience, good grace and even handedness with which you have dealt with the 'interventions' of certain antisocial elements. Whist the accusation of censorship, even when unfounded, always stings, it might be best for others to remember that the freedom of speech is not to bully, belittle and verbally bludgeon others without recourse. Thank you once again for a wonderful post and being such a wonderful host. Thank you for this follow-up comment, and also your expression of support, which I do appreciate. 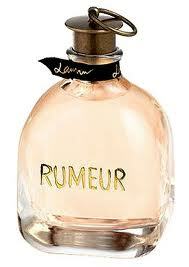 Last night I wore Guerlain Chant d'Arômes, from the bee bottle. My "vintage" derives from the twentieth century, however it not from the original lot (in the 1960s). Instead, it appears to be a reformulation undertaken for reasons which cannot be blamed on either the IFRA or LVMH--or Thierry Wasser! The perfume in my bottle, which I rarely wear, is a floral aldehyde, not the chypre which it was originally intended to be... Reflecting upon my experience in wearing this perfume (and the fact that I so rarely reach for it...), I am not sure whether my lukewarm attitude toward this creation, too, is a result of the heavy-handed use of aldehydes, or whether this was simply a poor reformulation, tout court! I do wish that houses would simply rename new formulations as new perfumes, as their inscrutable and secret practices make it difficult, if not impossible, to have intelligible conversations about quite different perfumes bearing the same name! Do you have a bottle of Guerlain Chant d'Arômes, Perfumed Dandy? If so, pray tell: is it a floral aldehyde, or is it a chypre? Great post! This was fun to read. 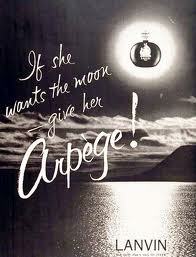 Aprege remains a fragrance I have yet to try in any incarnation. However, your description of an emotional arch - a full-fledged relationship - with this fragrance now makes it an absolute must-try, and possibly even blind must-have for me. I need to know what this is about. I'd point out to your interlocutor commentator above that coming onto someone's blog and saying stupid things, which then get your words deleted, does not constitute being censored. It constitutes you being rude. Rudeness has a limit. Try being that rude to people's faces, and see where it gets you. Try taking it as far as you feel like, and see how long it takes for you to get arrested. Internet courage - the cajones to hide behind anonymity to say stupid things without consequences - itself has limits to its powers. In the case of someone's blog, they get to decide what that limit is, and when it takes effect. Whining about a double standard because some other reader zaps you without consequences isn't a double standard at all: it's actually a direct consequence of your action, a situation your put yourself into, uninvited, and now have to deal with. So if the interlocutor doesn't like that, I wonder if that person really expected a different outcome - like, the fantasy of saying something rude, and then having it deleted, followed by a retort from another reader, whose comment is also deleted? The retorts are, after all Sher, in your best interest, while the rude interlocutor's comments are simply static clouding more positive messages . . . everyone adjusts the set until the static is gone, funnily enough . . .
Hello Bryan, and thanks so much for your comment. It's always a pleasure to read you here—and at From Pyrgos as well! Thank you also for the beautiful extemporaneous mini-manifesto on internet etiquette. I should link this as my protocol statement, because, well: everything you've said is true! Above all, let me reiterate your astute observation that permitting comments to be posted anonymously is not intended as a means of allowing people to act worse than they would in their dealings with people face to face in reality. The real reason for permitting anonymity is to encourage an open dialogue in an environment where there can be consequences for disagreeing with people in high places who appear to have goon squads working the web to attack and squelch valid criticism. That's why commenting is open and free here at the salon de parfum and will remain this way. That said, comments which do not contribute to the discussion and in fact attack fellow commentators who have chosen to respond to trollish remarks will continue to be expunged from the site. Thank you again, Bryan, for bringing your sharp intellect to bear on these matters! As quoted from Ross above..."I'd point out to your interlocutor commentator above that coming onto someone's blog and saying stupid things, which then get your words deleted, does not constitute being censored. It constitutes you being rude. Rudeness has a limit. Try being that rude to people's faces, and see where it gets you. Try taking it as far as you feel like, and see how long it takes for you to get arrested. Internet courage - the cajones to hide behind anonymity to say..."
So we have the second person, and I use the term loosely, being RUDE to me first before I said a thing to them. IN her hypocrisy sheraplop will no doubt say that Ross did a thing wrong. Yet of course the reality is he rudeness to me was exactly what everyone is complaining about. For those moron readers, when sheraplop says expunged, she means censored. It's what nazis did, it's what castro does, and it's what putin does. So do the math people. If sherplop wants a fight for truth, she picked the wrong person. I guarantee you Ross is using the internet to act in ways in never would in person. I think he knows the result if he spoke to me like that in person. No, I'm sure he knows. Dandy and Ross attacked me yet those comments of course remain. And that is why sheraplop is a hypocrite. 1. You posted a comment which two salonistas found either rude or inscrutable. 2. They wrote comments directed to you asking why you would post such a remark. 3. You replied to each of the two comments with vicious attacks on the two commentators. You did not answer their questions. Nor did you say anything about the topic of this post, Lanvin Arpège. 4. I deleted your two replies but retained your original remark and another follow-up remark so that the comments on your comments would have their original referent. 5. Had you never posted your initial comment, interpreted by multiple salonistas--including, most recently, Bryan Ross--to be rude, then no one would ever have called you, behind your cloak of anonymity, "rude". Conclusion: do not post rude comments anonymously or you may be labeled "rude", and your comments may be deleted at the discretion of the blog author. Please note also that it is not rude to call someone rude "rude". It is merely to speak the truth. Comments which speak the truth here at the salon de parfum are never deleted. If you wish to continue this discussion, please contact me via email using the widget at the bottom of this page. No one else has any interest in this dispute. I thank you, therefore, in advance for your cooperation, and hereby warn you that if you continue to post irrelevant comments, I will indeed delete them. Sher, I congratulate you on handling this in a manner more cool-headed and sensible than I would have. You continue to be remarkable in your ability to state the philosophical laws from which you operate, and lay them out in no uncertain terms for all to read. As you have maintained two of the interlocutor's comments above, I'll simply respond briefly: "I guarantee you Ross is using the internet to act in ways he never would in person. I think he knows the result if he spoke to me like that in person. No, I'm sure he knows." The problem with that logic (to any aspiring interlocutors) is that unfortunately, my behavior on the internet has been consistent with my behavior face-to-face with people I meet at work and at play - I use my real name, I don't hide behind "anonymous," I constantly refer to where I live, and I rarely call people disparaging names, and never antagonize unless there is, as is unfortunately sometimes the case with one follower of my blog, an actual plea to be antagonistic. And the result if I spoke to you like that in person? You're right, I do know, Mr. Interlocutor! You would begin a hissy fit, create straw man arguments, possibly threaten me physically (I'm trained in physical take-downs as part of my job, so that would just be routine for me - a butterfly hold is a useful thing), and I would grin and ignore your static, much to your chagrin. This has happened to me more times than I can count in political discussions, and the result is always the same: poor planning on the part of the opponent results in the realization of all of my mediocre, shallow, short-term ambitions. Sadly, I am not one who aspires for greatness. This is aimed at anonymous ( aka shytnutz ). It has nothing to do with all the comments normal fragrance enthusiasts have posted and everything to do with what this jackoff is mouthing off to my friend sherapop. Don't think for a minute slice that I wouldn't speak this way to your face and much, much more. I wasn't raised to be an internet hero that hides behind a computer. I invite YOU to comment on Il Mondo di Odore where I blog you freakin coward/stalker. This way I'll deal with your retarded comments and you can give sherapop some peace. Ho huh ... I am late to this encounter. While you, dear Sherapop, honestly and sincerely share your deep feelings and emotions to readers who are in tune with such eloquent music, an internet by-passer does not only rain on your parade but decides to leave his what will call politely BS. I suggest that he open his own blog where he may, just may get some weird and pathetic readers who gobble that up. Meanwhile I have noticed that you can technically intercept all unwanted nonsense ... Good. No worries, Ursula. I instituted comment moderation on March 14, 2013. Everything is under control now. It's sad that because of the abuse by one person of open-posting privileges people must now wait for their comments to appear, but it's a small price to pay to avoid seeing the serene salon de parfum, a place for civilized discussion and debate about perfume, littered with nonsense. Thank you for the kind words on the piece!